Primary surgical repair is indicated for young athletes engaged in highly demanding physical activities who have sustained their first shoulder dislocation (Handoll et al., 2004) (SOR: A). Surgical repair of shoulder instability from dislocation results in significantly lower recurrent instability than conservative treatment, especially for younger athletes and those in collision sports (Brophy and Marx, 2009) (SOR: B). 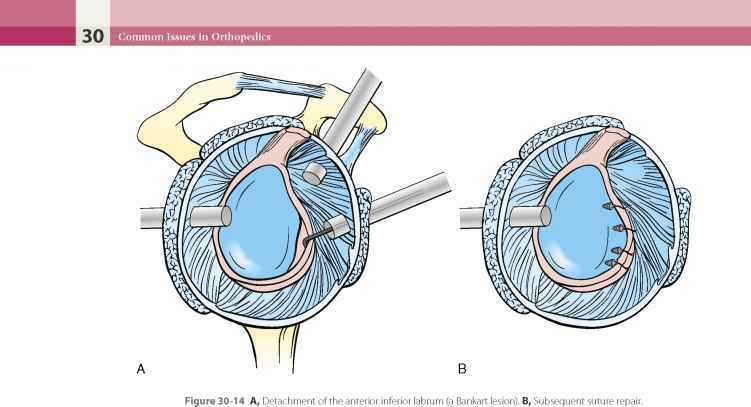 No significant difference exists between arthroscopic and open techniques in the surgical treatment of recurrent shoulder instability in adults (Pulavarti et al., 2009) (SOR: B).